With over 100 hotels and 70 destinations, ITC Hotels believe in Responsible Luxury, which in their words means luxury without compromising the earth and sustainability without compromising luxury. Responsible Luxury is the combination of luxury and responsible practices so that the luxury experiences delivered at ITC Hotels do not in any way burden the environment or the society around. Epitomizing the essence of the region, ITC Hotels are windows into the destinations they are located in, offering a glimpse into the local culture and heritage. 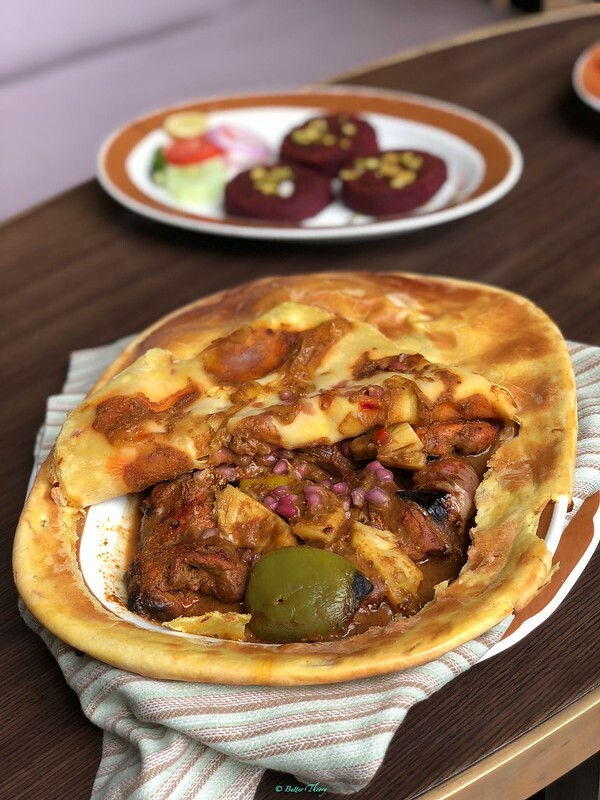 As the name suggests, it’s an authentic Kebab and curry affair. 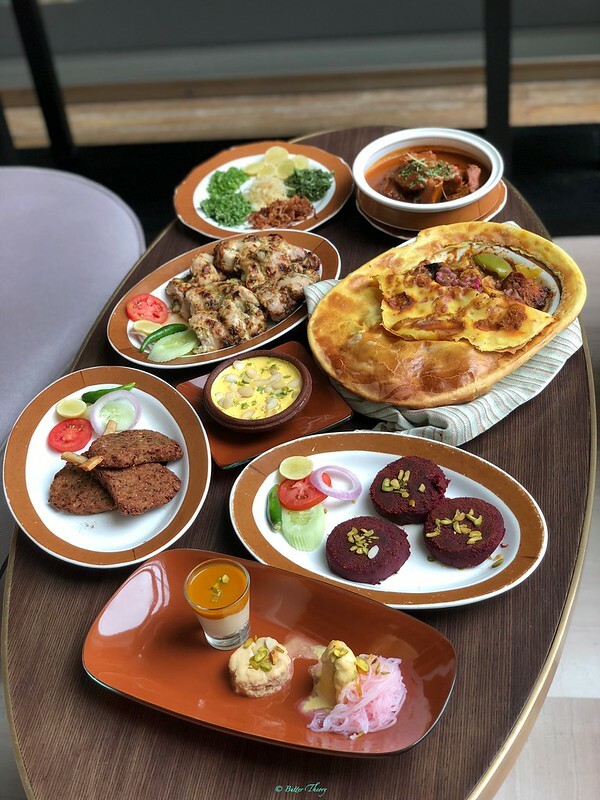 Lets take a look at some of the dishes that me and a few other food bloggers had a chance to try, most of which are newly added to the menu. Kebabs would arguably be the monarch of this cuisine and it’s here to stay! Several ways of grilling meat that would include clay ovens, iron tandoors, charcoal and stone grills. 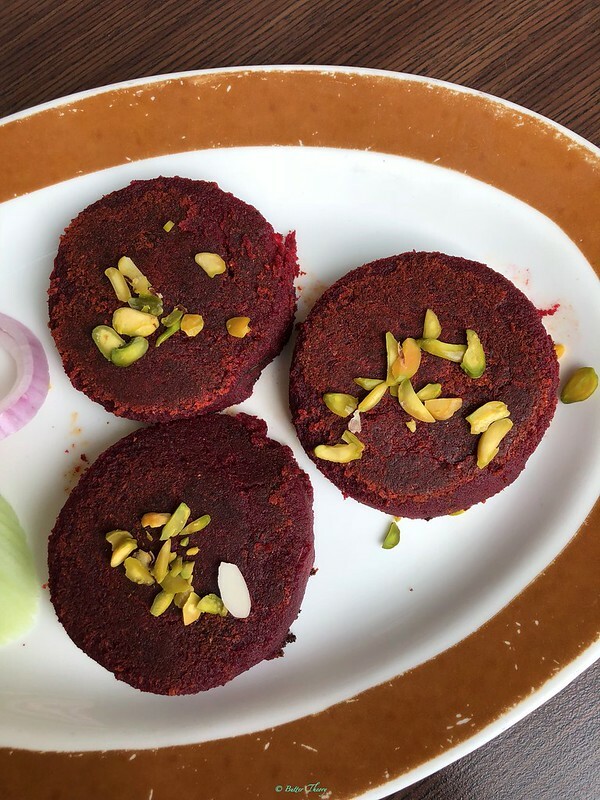 We started with Labgeer; a beetroot tikka that packed a punch with all the green chillies. It was balanced well with addition of cashew and cheese. The crust was beautiful, crisp and buttery. What a spectacular start to the meal and that too coming from the vegetarian section! We then moved on to Nadru ki Chaamp ; A Kashmiri lotus stem dish. Generous helping of minced lotus stem with onions, green chilies & ginger, deep fried. It could be considered as a mock meat for the vegetarians! My favorite from the new additions is the Murgh Kali Mirch, which had a beautiful glaze when viewed from a distance in the hands of the wait staff. I couldn’t wait to get my hands on it 🙂 The pieces are so big, it’s just unreal! The chicken tikka is very tender to cut through and is evenly cooked. The addition of black pepper before grilling makes a huge difference. We also got a tasting of the Jhinga Ajwaini; Jumbo prawn marinated in ajwain, skewered and roasted over charcoal fire. 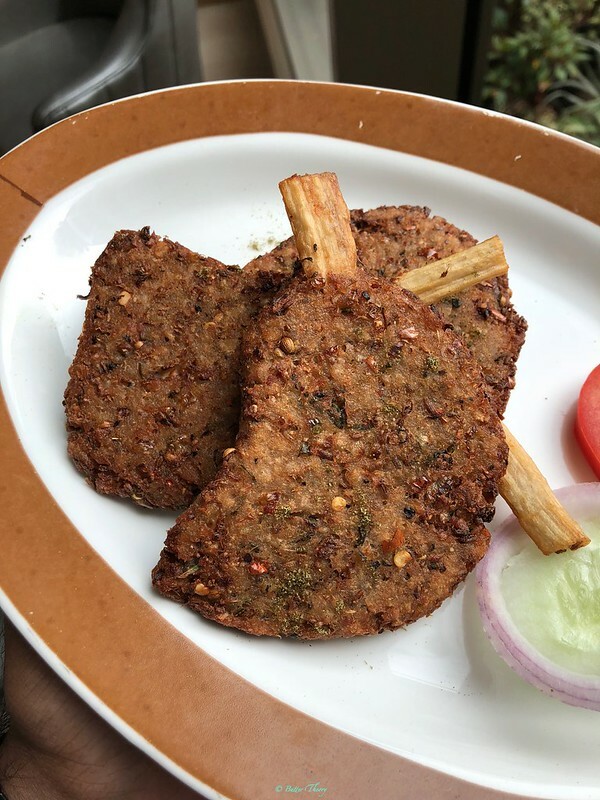 The star of the Non veg Kebabs would have to be the Gilawat Ke Kebab; melt in mouth kebab of finely minced lamb leg, grilled on the tawa. Much to the surprise of everyone at the table, it didn’t come with the paratha at the bottom! Some wouldn’t see beyond the ITC for the Dal Bukhara, a velvety smooth black lentil curry. I had a chance to try it here for the first time and boy did I love it, and how! Just pair it with a butter naan and you wouldn’t need anything else. But, hey, as bloggers, we’re supposed to try everything and indulging in one dish couldn’t be very dangerous. We then tried a dish that none had ever seen (or thought of), the Murgh Khush Purdah. The preparation is akin to the Dum Biriyani, the only difference being that this had no rice. 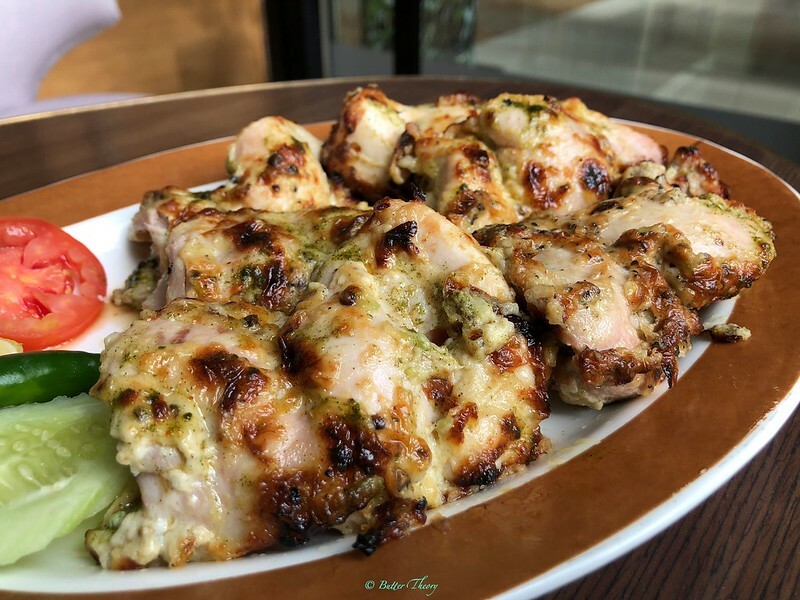 Chicken marinated with a star anise sauce, along with few vegetables and pomegranate, covered by dough and grilled in the tandoor. The purdah would help retain all the flavor within the dish and would unravel when the purdah is removed. A very good dish, but the marinade didn’t seem so Indian. 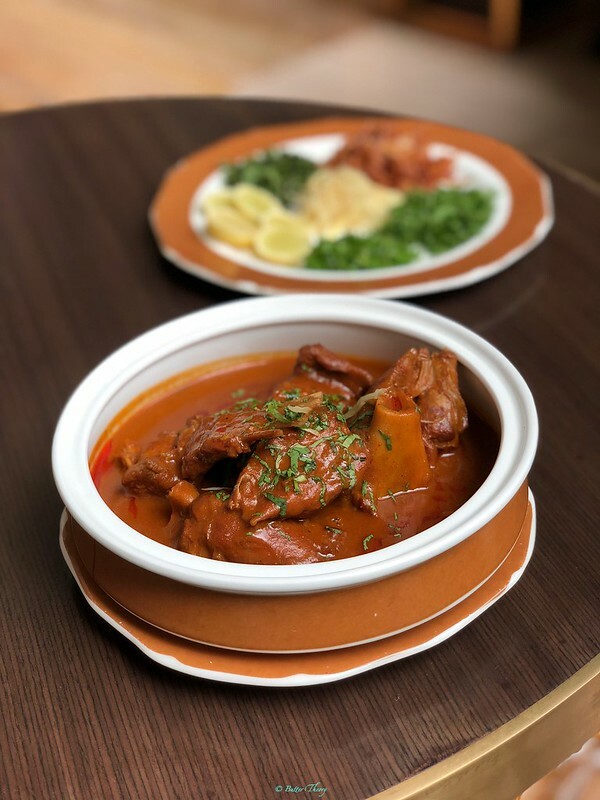 If there’s one dish that hits home with most North Indians is the Nalli Nihari; lamb simmered overnight with green herbs and traditional spices. What was interesting is the way the condiments were served on the side – fried onions, lemon, green chillies, coriander and mint, so much so that it looked like a Khow-suey dish from a far, barring the color difference of the curry – yellow vs brown! The curry was rich and the lamb was very flavorful. We at home, a Maharashtrian household would often prepare Birinj and Dalcha on special occasions and it was nice to see that Biriyani was labeled as Birinj. The moment I reached the long chef’s table, I was guided to the seat I was assigned, it included a menu which said “Specially Curated for Dushyant Chillale”. I wasn’t just blown away by this alone, but the curious addition of the Dum Pukht Biriyani. Even though my personal preference is a chicken biriyani, everyone knows that biryani was always a lamb biriyani. So, sticking to the traditions, I helped myself with a couple of servings of this amazing Biriyani with some raita. It was the perfect way to end the meal. Or wait, there’s dessert? I guess so. 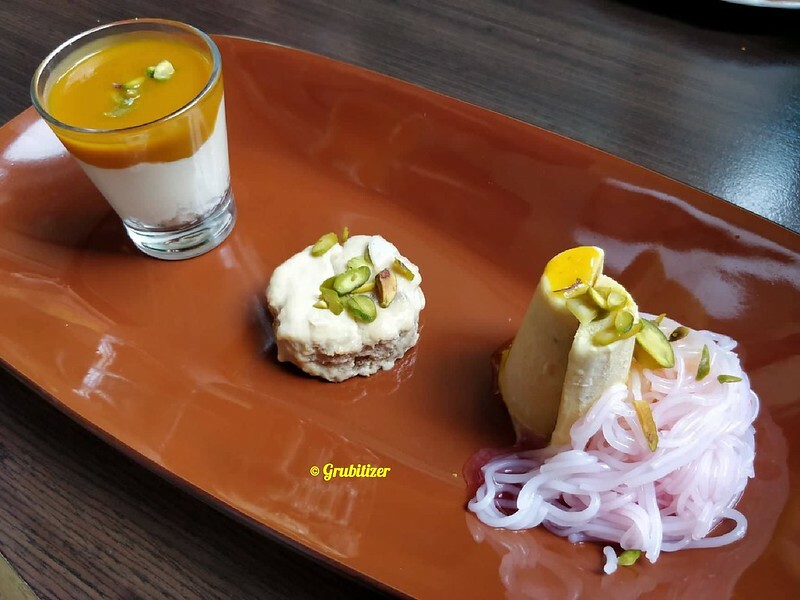 The K & K Dessert Sampler is what one must try here, which is 1 portion each of Kulfi, Shahi tukda and Shaan-e-aam. 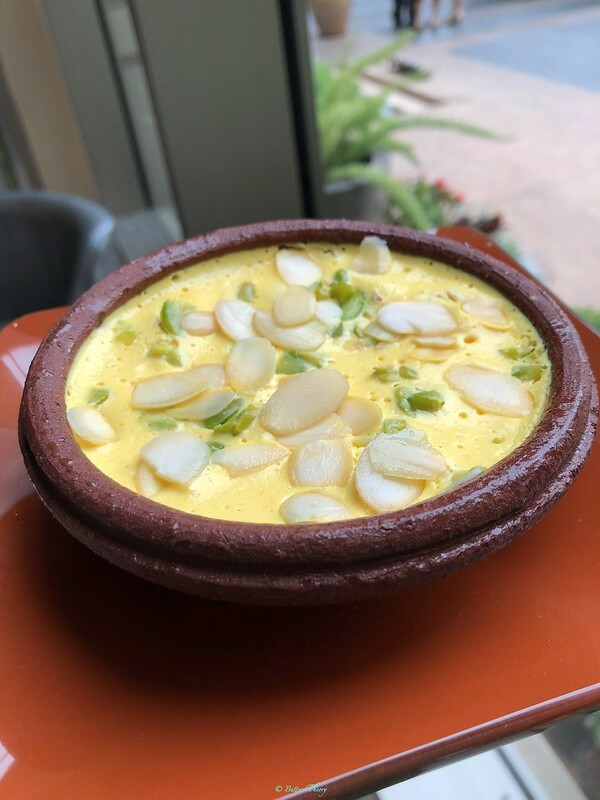 I am a big fan of the Kulfi here, the consistency is just perfect. After all, the milk is reduced after simmering for several hours and no addition of cream. The new menu is available for one and all, starting 13-July-2018. Please do try. I would thank the team at ITC for inviting me to try the Chef’s table to try the new menu at K & K.
Lovely write up, this post made my day!